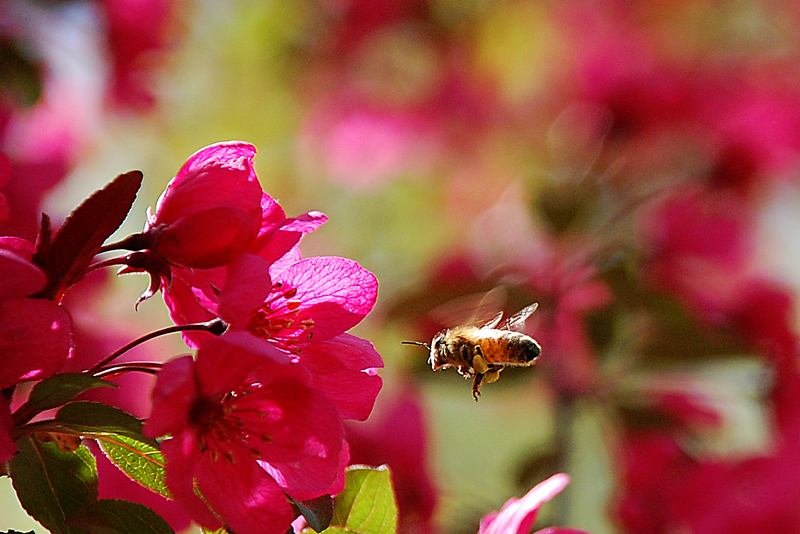 Why and how did we end up with honeybees? Good question. Neither of us had any experience with honeybees growing up as farm kids. I knew almost nothing about these creatures when Jesse first mentioned to me that he would like to have honeybees some day. It was about nine years ago and were living in Sweden at the time on a two-year expatriate work assignment. We had been home to Minnesota during the summer for a visit and had been to the farm to check on things (my aunt and cousin were living there while we were gone). Upon returning to Sweden, we found ourselves even more enthused about the possibilities of our farm. We often talked and planned out our numerous ideas for future projects. It was during one of these discussions that if first came up. Jesse wanted to get honeybees. I was skeptical. He explained that his interest in honeybees developed after talking with our friend Paul, a local and very experienced beekeeper. Our property seemed like a good setting for bees, and Jesse thought learning how to manage and nurture bees sounded interesting. 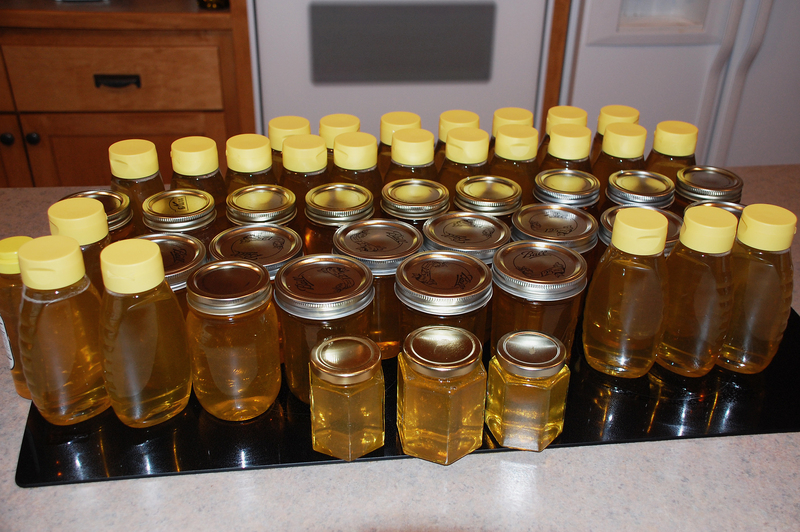 It would be a good project to do with the kids and the idea of harvesting some honey was an added bonus. We moved home to our farm the following summer and years passed. 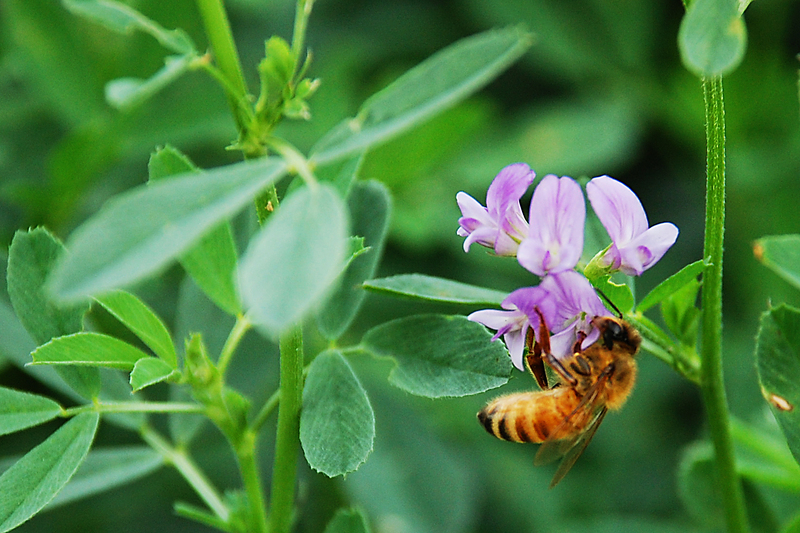 The subject of honeybees frequently came up, but our chaotic modern life and other projects around the farm delayed any action. 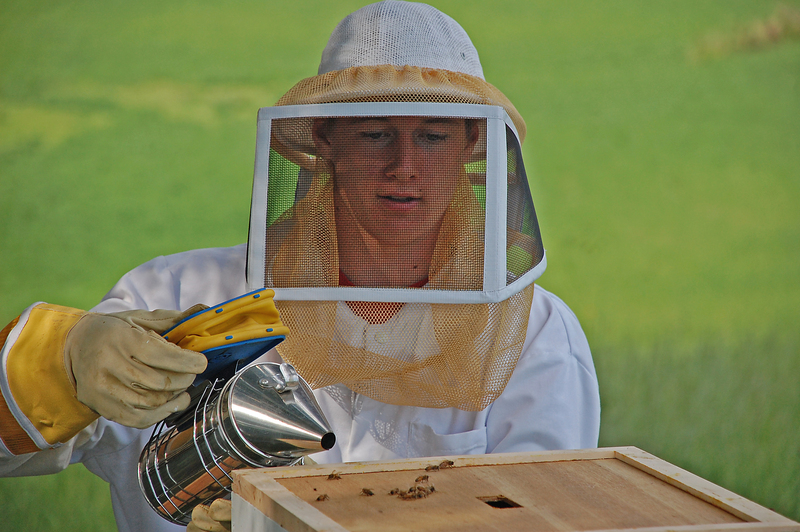 With a completed master’s degree behind him, and anticipating a more relaxed work travel schedule due to the economy, Jesse decided that 2009 would be the perfect year to finally get honeybees. 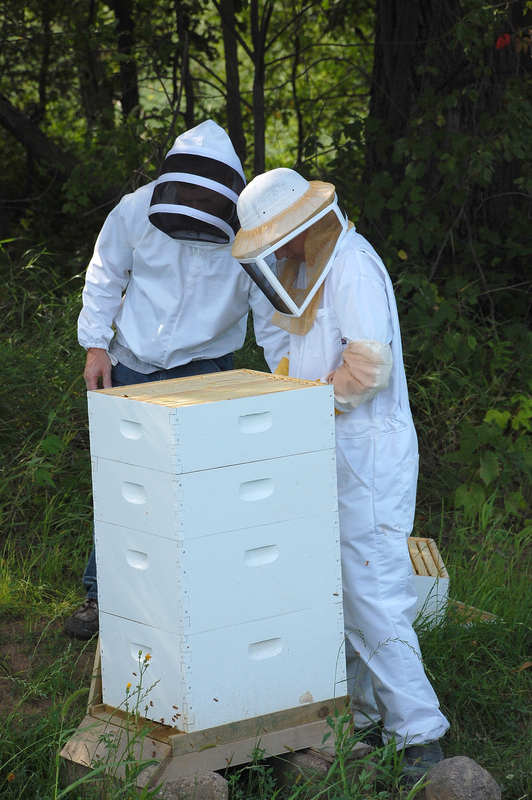 He consulted with Paul, who gave him contact information for a bee supplier and suggested that Jesse start with a “nucleus hive” instead of “package bees”. 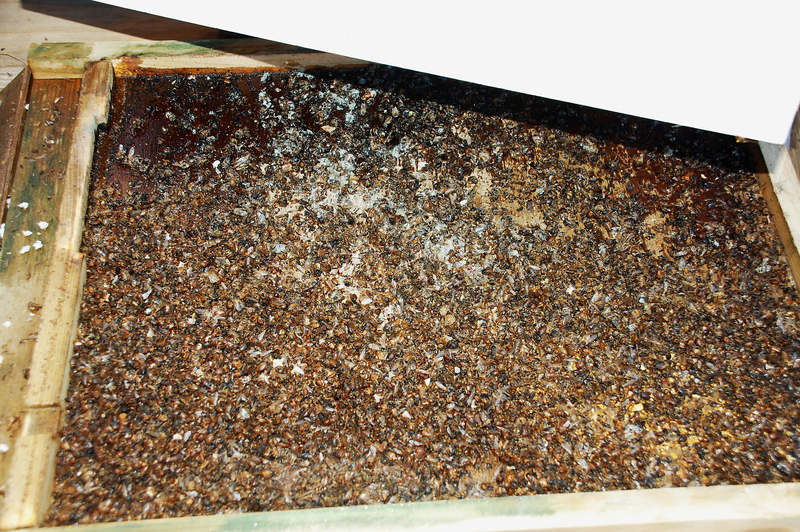 A “nucleus hive” (or “nuc”) consists of three to five frames of a small established hive and includes all ages of bees and brood, as well as a laying queen. 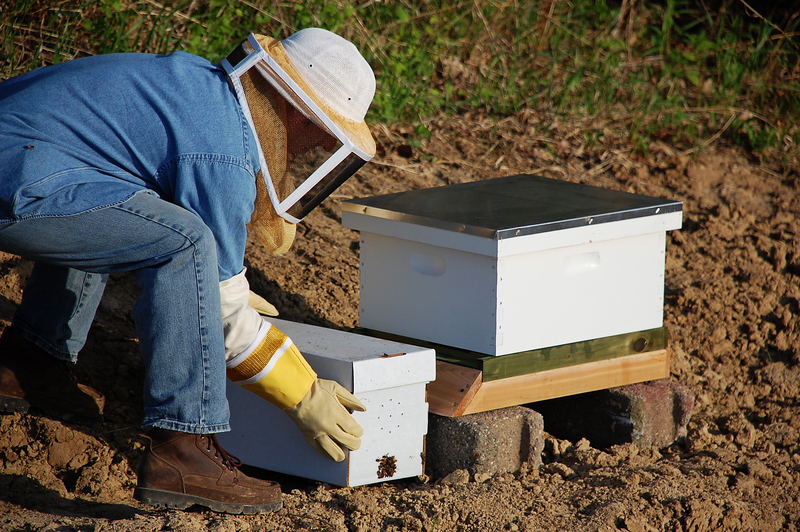 “Package bees” are generally around three-pounds of adult bees plus a mated queen (there are approximately 3,500 bees per pound). 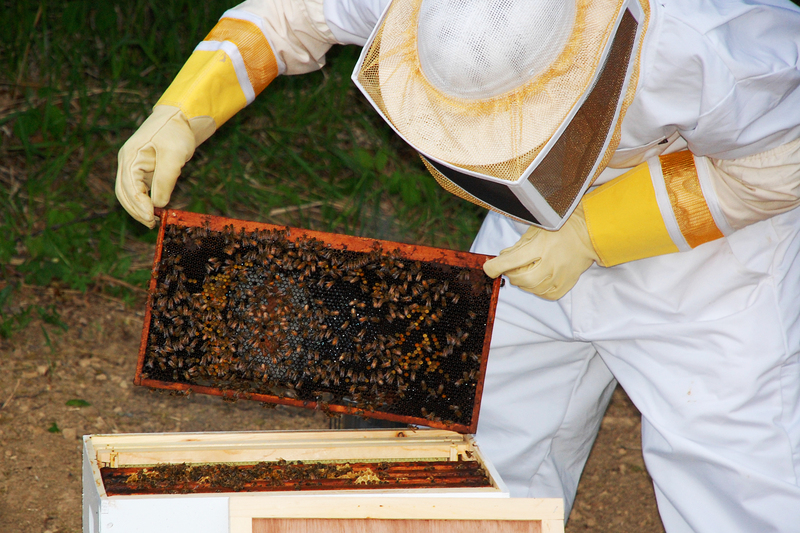 The main advantage of a “nuc” for a beginner is that the frames already have drawn out comb and the more established hive is more likely to produce surplus honey at the end of the first season. Contrary to various recommendations to start with at least two hives in case one fails, Jesse chose to order just one nuc. 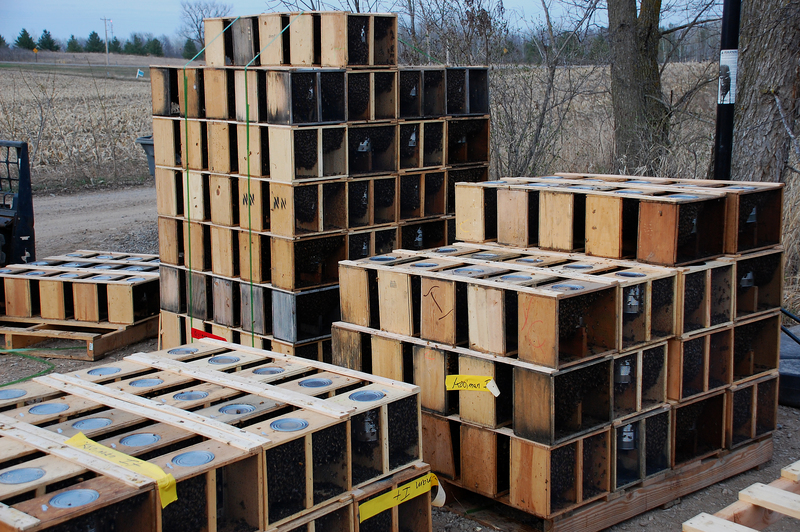 This was just the beginning of our investment in beekeeping. 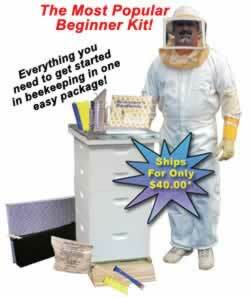 We then ordered a complete beginner beekeeping kit from Mann Lake, Ltd., (www.mannlakeltd.com) a cool employee-owned company based in northern Minnesota. One evening in early May we received a phone call from our bee supplier. He informed Jesse that the bees were arriving on a truck later that evening and that he should be there before sunrise to pick up and transport the bees to their new home. Arriving just before sunrise, Jesse loaded the box containing the nuc into the trunk of the car and headed home. 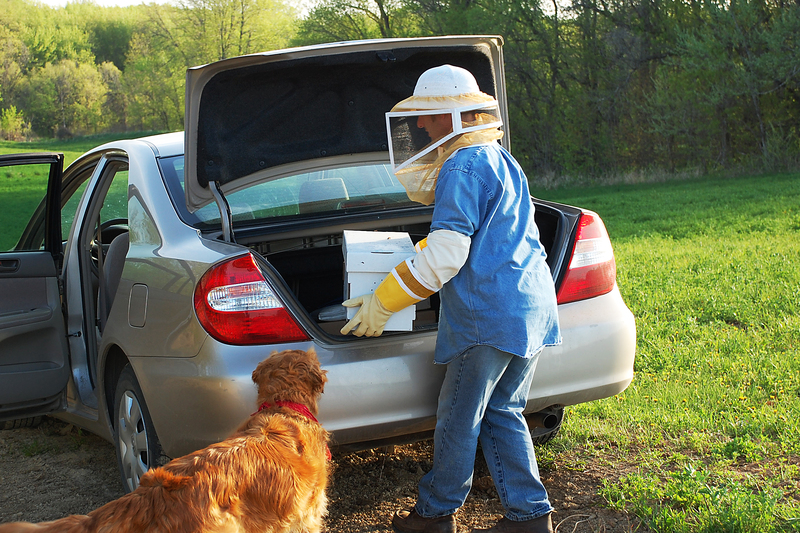 Other than a few escaped bees flying around inside the car with him, his drive home with the bees was uneventful. Jesse had everything set up and ready for the bees. Being the picture-taking maniac that I am, I was there to document his arrival with the bees. Sofie was also there to watch Jesse with the bees. She insisted on sniffing the box and was snapping at the bees flying around outside the box. Her curiosity and aggression made her the first and only victim of a bee sting during the summer. 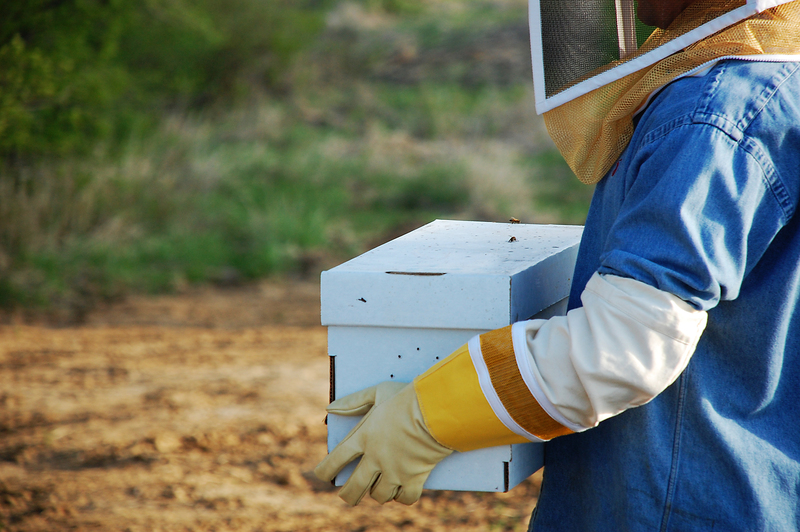 Jesse carried the box with the nuc over to the hive and placed it on the ground next to the hive. 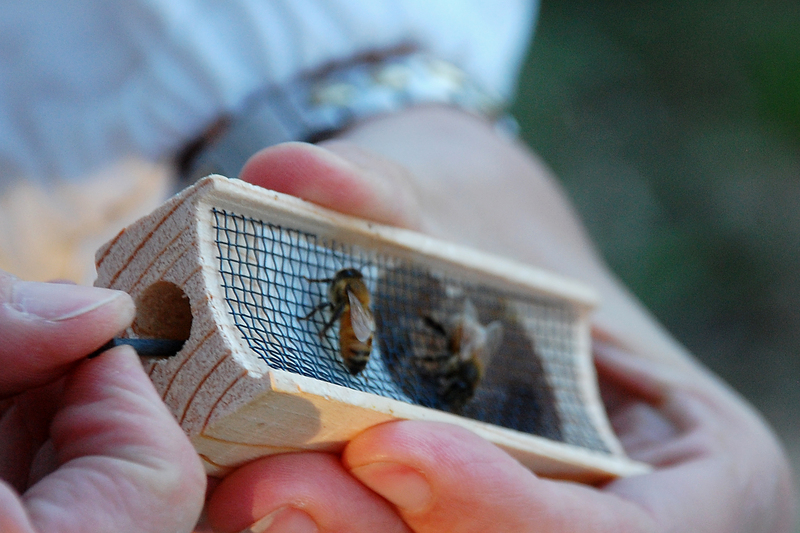 The next day he moved the frames from the box into our hive. Jesse is now officially a beekeeper. Thanks again for letting me use your Prairie Fire Crabapple photos. I thought you might like to see what it looks like on my website. I haven’t found out yet how to give you honorable mention or put a link to your blog, but I will be working on it with my web developer. I used it on the home page banner which you may have to refresh (just keep hitting F5), as it is one of 5 banner photos. Anyway, it is still my favorite since it is one of my all time favorite trees. Thanks again. Hiya! My husband and I have been researching honeybees as we plan on putting a couple hives at the back of our 2 acre property. I love your blogs about everything! 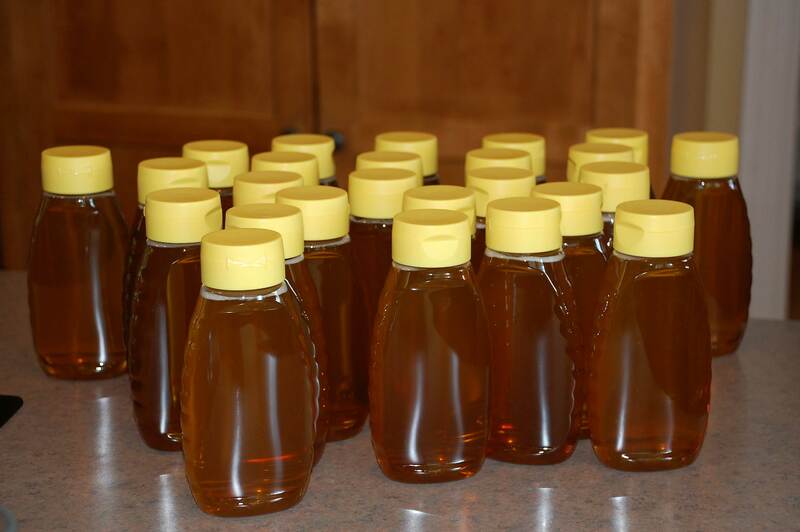 I wanted to comment about why you had a poor supply of honey… My hubby was telling me that if you take too much honey and don’t leave enough for the bees’ winter food, they really get upset! We were planning on only taking 1/2 for the first year to make sure they have enough to live on and then go from there. My husband did more research than I have and he said that there’s a way to tell what is excess the following year. He also says that he doesn’t plan on wearing a beekeeping suit. I told him he’s nuts…b/c he has such a wonderful rapport with “risky” situations – he and electrical don’t get a long; fire is another risky topic and anything with a blade, he’s sure to gouge himself at least once! So, I’m thinking that he and bees is a definite recipe for some need of first aid! It’s ironic – he’s incredibly handy but it’s a “requirement”, it seems, that at least one injury is necessary for each handyman job he takes on. It’s kinda like his signature for success. Anyway, thanks for sharing your experiences! I love reading them and seeing all the pictures!!! God bless!! !